This is for anything that is related to novels. Predominantly they will be reviews, unless I finally get my act together and start doing some serious writing. My summer reading list for my English course starting next Thursday has finally been completed. I successfully managed to read the list in time, whilst simultaneously enjoying my holiday and reading the other books that I wanted to get through. I don’t want to make the reading task sound like a chore, because it wasn’t, it really wasn’t. In fact a lot of the texts that I read I really enjoyed and were already on my ‘To read’ list anyway; so two birds were hit with one stone. Emma by Jane Austen was the last one to be crossed off, and I am really unsure what I quite make of it. 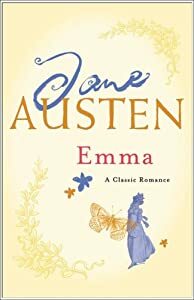 I love Austen, I really do and I find it quite shocking that I have only just read Emma. But there is something about the book that has really perplexed me; and it really is starting to become a nuisance. For those of you who are unfamiliar with the plot I will summarise. Emma is a beautiful and rich girl who adores arranging marriages for her friends, but never seems to be very good at it, to the extent where she causes much more harm than good. Now, the main problem I had with the novel was that seemed to be it. There was hardly any plot or real storyline. We sit back idle as we watch Emma make blunder after blunder not only for herself, but particularly for Harriet (her friend) who does not possess the same qualities or birth right as Emma and as a result is fairly helpless. But it happened time and time and time again and I couldn’t work out why Austen would have not altered the plot. The conclusion seemed to me, to have been apparent from the beginning of the novel. The marriages that end the novel, were fairly obvious at the outset, it just took them a long and drawn out road to get there. What also really shocked me about this book was that I simultaneously loved and despised the protagonist Emma. She meant no harm through her little match-making schemes and yet she didn’t stop once they started inflicting pain on her nearest and dearest. At times she acts very much like the spoilt brat that she probably would have been, but then at others she was very genuine and lovable. There seemed to be a lack of continuity in the characterisation. The other characters however, seemed to stay put. They were either hero or villain, never the twain shall meet. So yet another confusion added to the mix. I even went as far as watching a film adaptation of the novel to see if it improved my opinion. It didn’t. I watched the Kate Beckinsale ITV film version which seemed to only further my opinion on the matter. Emma is both fickle to her friends and family as she is to herself. Her opinions and ideas change and swing back and forth so rapidly it is often like watching a tennis match. She manipulates her father and her friend Harriet, abuses her power of authority in society as a role model for young ladies and ultimately has a few too many unattractive qualities. I cannot entirely criticise the novel because there are a few things which I found very agreeable indeed. 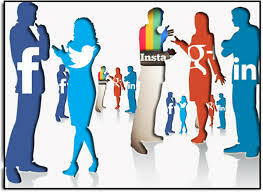 Firstly, the relationships between the families and the differing social situations was very interesting to look at through fiction if one was gathering information on that historical time period. 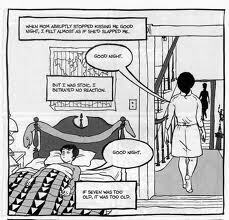 There was a great that could be taken from that novel in relation to social norms and societal expectations, which were very interesting. 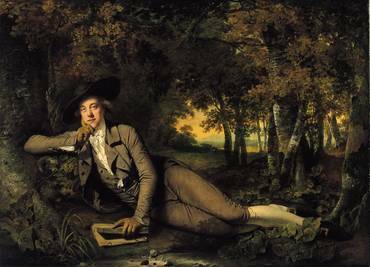 The balls and the dinner parties offered a great insight into what ladies and gentleman did both for leisure and as a means for courtship. The language and the prose is up to the standard expected of Austen and so it is an enjoyable read on that front. However I personally could not get over the vanity of Emma to really warm to her as a character and therefore the book on the whole. Of course I would recommend this book, however I feel it is just not one of the best. I have yet to post about one of my favourite genres of book: fantasy. Yes I did recently write about Game Of Thrones but it is surprising that it has taken me such a long time to get around to this hugely incorporating genre. I read the Riftwar saga by Raymond E. Feist a few years ago now, but I have been thinking about it a lot recently and so here it belongs. For those of you that are not into the dragons and chivalry, swordsmen and ogres, dwarves and elves then honestly I don’t know what to say. In my opinion reading is a method of escapism, whether you read a book set in Afghanistan or one set in an invented world full of mythical creatures they both fulfil their purpose: to escape. Fantasy is a realm of fiction that really grabs escapism by the reins and throws them out the window. I hear many people justify their dislike of fantasy with “there is too much unnecessary description, to the point where it is just no longer believable.” But can this not also be said for any classic? The older you get, the more descriptive you get; and in a round about way, fantasy is often set in a world comparable to the middle ages. This particular saga really is brilliant. The first in the opening trilogy is Magician and although a lengthy volume, is thoroughly enjoyable and fled by in no time at all. I remember feeling almost cheated by Feist after I saw that the second and third books were a third of the size. It can be incredibly difficult to create a setting for your story, let alone a whole world. It is very easy to write too much, use too many of those things we call adjectives and really force those sceptics to jump for joy at yet another failure. Or go the other way and fail at any description of any sort, no character depth or believability. But Feist got the balance perfect I felt. The various cities in Midkemia (the main invented world) in the novel felt so real that I wanted to dive into the page and join the fight. What I liked most was that because it was the Riftwar saga, it not only held one world but to joined by this rift. It really was a brilliant twist to a fantasy novel – a little bit of sci-fi to get everything going. Yes there is a very heavy male presence throughout the books, but that is expected of these novels. I am not condemning them, or even agreeing that this is right, just that it was what was thought necessary for the book to be successful. There are some brilliant female characters in the novel, very powerful and fiery young women who are determined to get their own way. The male characters are just as excptional, and they range from all different walks of life. They don’t just focus on a poor orphan boy who raises to power like the majority of novels, but we also discover plot from those of wealth, nobility, power and the humble. Martin Longbow particularly tugged at my heart strings, he was such a believable character and I really felt myself spurring him on and happy when he finally found happiness. But the best character has to be Jimmy the Hand. 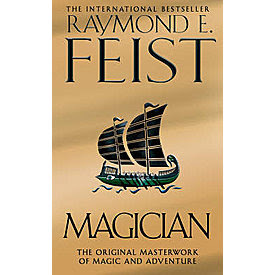 He is so brilliant in fact, that Raymond E. Feist even wrote a separate book just about him to accompany the saga. He is nothing more than flea-ridden gutter rat, scuttering along and stealing where he can to get by. But he becomes so much more than that as the story develops. The stories are written through the eyes of various characters and so as the plot progresses the characters change and alter depending on the circumstances. So for those of you who are new to fantasy, a bit reluctant after watching Lord of the Rings and not particularly enjoying it, in my opinion you cannot make a judgement about fantasy as a whole until you have read one of the books. Give it a go. The dragons aren’t real so there is nothing to fear! I love going on holiday, I really do. I am sure most people will agree with me on this one, especially if you jet-setting off to an unknown place, full of places to explore and people to meet. The thrill and adrenaline you get from just not working, lounging around all day doing nothing. Visiting places of wonder and snapping them all so they can be shared on facebook the moment your hand touches your laptop once you arrive home. The only problem I have is that there is an awful lot of catching up to do when you get back; especially if you completely switched off from the outer world on your holiday. All those episodes of the white queen I missed had to be watched straight away so I had enough time to catch the most recent one later that day. I am also a big believer in reading before watching, but sometimes life just doesn’t work like that. You run out of time, work piles up, you have other things that have a higher priority, or you simply just can’t get hold of the text quick enough. 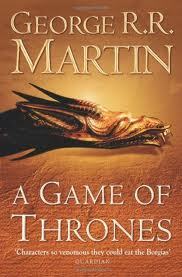 Now I have to admit, I hadn’t read George R. Martin’s A Game of Thrones before I started watching the show last year. Yes I was even a late comer to the show too. I do feel bad that I put so much emphasis on the importance of appreciating the literature before the video, but that is just the way my preferences work. Book before look. However this holiday gave me the leisure I needed to do some very serious catching up and the ability to remove some of the serious guilt that has been weighing me down for the last few months. Luckily my dad was a proud of owner of the set to date so I didn’t even have to splash the cash (something that also made me feel incredibly guilty about not having read them yet) before the trip abroad. Brilliant. Absolutely brilliant. I knew the book would be, there can only be so much elaboration and dramatic enhancement to the original text to make it appealing to a wider audience. In my opinion the original is always the better version. I was proved correct once again. The depth of character development, description and imagination involved throughout the whole of the first of the series of A Song of Fire and Ice was amazing. 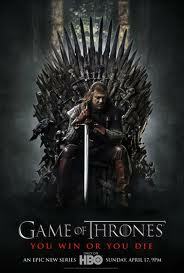 Although I already knew the story line and so I guess reading the books condensed my understanding of the story. I think that in fact, I am going to eat my own words right now, but perhaps watching the HBO show before reading the books was a good way to do it. There are so many characters and relationships, not to mention the characters that are never alive in the text and are mentioned to help us understand the history of the people; that watching them on a screen makes them more prevalent in our minds. Aside from the potential to confuse, which I think is a necessary element of all fantasy writing because the history needs to be well-developed and believable; but the 800 plus pages disappeared like a flash. I have always loved a fantasy novel, trilogy, saga and have never really struggled with any of them, but A Game of Thrones was entirely different. The characters jumped off the page to me, I warmed to even some of the most venomous characters that in the tv show I could have easily burnt at the stake for their crimes. I even found myself disliking characters that I had originally admired and honoured (yes, I am talking about you Eddard Stark). So I guess what I am trying to say is that I am well and truly dumbfounded. I still stick to my opinion that you should read the original before you watch the adaptations, but this one has been different. The guilt will be carried with me for life, until i catch up and read book four that has yet to be adapted. But even so, the book and the HBO series evoked different emotions and pulled at different heart stings, even though the events were the same in each more or less. Unfortunately this seems a bit inconclusive, but I guess you will have to find out for yourselves and let me know if you have ever been a similar predicament.